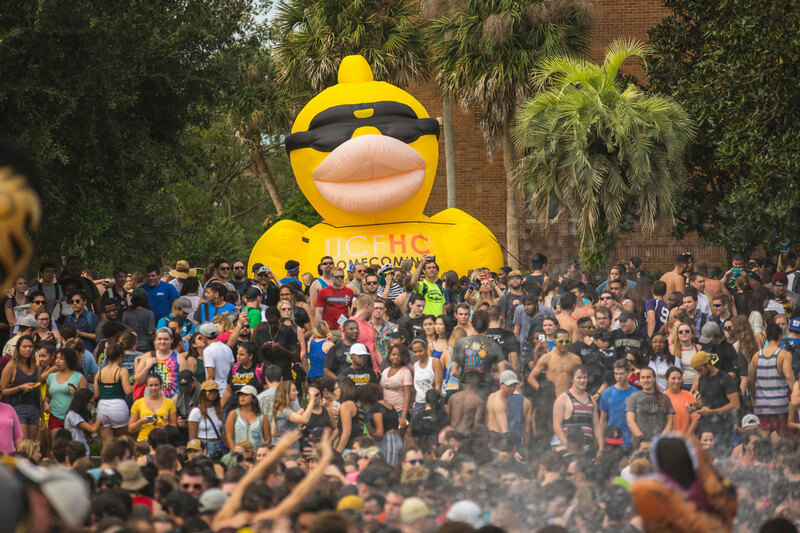 UCF students relay first-hand experience to prepare for Homecoming’s biggest tradition. UCF social media ambassador and senior radio-television major Sonali Prabhu from The Campus Knights along with senior event management major Ashley Aken from the Office of Student Involvement share their insight for a successful run of Nov. 9’s Spirit Splash at the Reflecting Pond. Spirit Splash has been recognized as the best university tradition in the state by the National Association for Campus Activities and was featured in a special segment on ESPN last year. It started in 1995 when the SGA president was pushed into the pond by some students at a pep rally at the fountain. The rest of the student body followed and a couple years later, the tradition earned the name “Spirit Splash” and has been going strong ever since. UCF Vice President and Director of Athletics Danny White confirmed Monday that more than 50,000 students attended the first five home games of the season, so UCF President Dale Whittaker will be making good on his promise to plunge into the pond this year — and he’s already training for it. 1: Wear a bathing suit or other comfortable clothes that you don’t mind getting wet. As for shoes, stay away from flip flops because they’ll slow you down or fall off. 2: It can get crowded in the pond, so be safe and cautious of your surroundings. 3: Wear sunscreen. Even though it’s November, the Florida sun is still hot and you’ll regret it if you don’t lather up. 4: The best photo opportunity is with a giant inflatable duck. 5: At the event, you can expect a DJ, the UCF spirit team, Knightro in his best swim suit, the UCF Marching Knights and the football and basketball teams. 6: Students have been known to start gathering for the countdown by 6 a.m. It’s important to stay properly hydrated while you wait for the rush. 7: If you plan to wear sunglasses, pick a pair that you won’t mind if they fall off or Croakies that connect to the glasses and help keep them attached to your head. 8: Only bring things that can get wet. It’s advised to leave bags at home. 9: Pay it forward. If you catch more than one duck, share it with a fellow Knight. 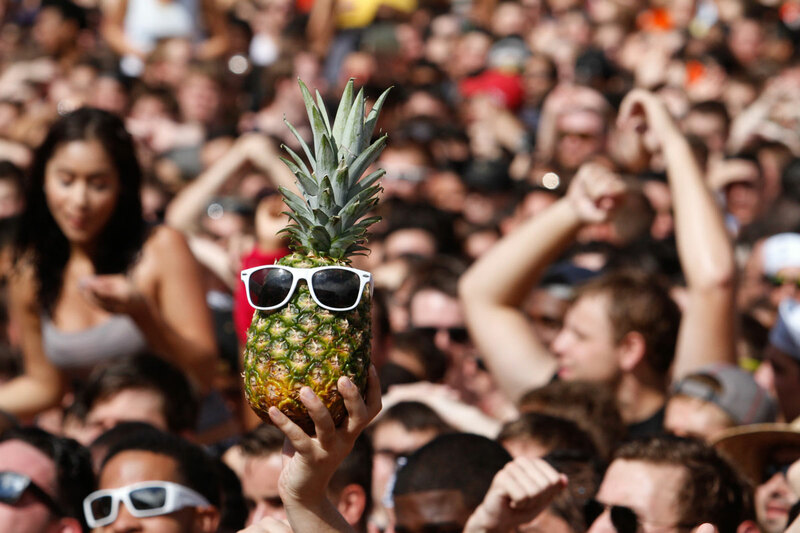 If you’re an alumnus who is nostalgic for your Spirit Splash days, or you can’t make it to the big event this year, UCF will provide a live stream on YouTube beginning at noon. The actual splash is scheduled for 1 p.m.
For more information on Spirit Splash and Homecoming events, visit osi.ucf.edu/homecoming. For more The Campus Knights content, subscribe to UCF’s YouTube channel and follow on Instagram @ucf.edu.